Entice your hungry learners with these fun, blueberry-themed learning activities to celebrate Blueberry Month! Summer is the perfect time for cold drinks, popsicles, and fresh summer fruit. My personal favorite is the blueberry! This juicy fruit is delicious when sprinkled on ice cream, pressed for juice, and just by itself. However, before scarfing down handfuls of blueberries, try to incorporate some basic skills practice with these Blueberry Month activities. A great way to keep brains sharp during the summer is to practice counting skills. Gather a bushel of fresh, washed blueberries and place them in a bowl. Then, give each of your children a clean placemat or paper towel to count their fruit. While counting each blueberry, one by one, challenge your kids with patterns. For instance, allow them to eat three at a time. Can they keep track of how many they’ve eaten? This is a tricky way to get them thinking about counting by threes, or fours, or whatever number you choose. Then, ask your hungry mathematicians to practice grouping. Start them off with at least ten blueberries and have them group their fruit by twos or fives. Ask them what happens when they re-group by threes or fours. Can they do this evenly? After counting practice, your kids will be ready to eat those blueberries! Before your learners put all the blueberries into their bellies, ask them to formulate different pictures with their fruit. Can they make a flower, smiley face, or even a dinosaur? Challenge them to create numbers and letters with the blueberries. Can they spell their names or show you how old they are with them? They say a picture is worth a thousand words, but these pictures are worth a bushel of blueberries! Get out your gloves and lab coats—it’s time for some science with blueberries. A great way to study plants is by dissecting them. After instructing your scientists to observe the outside of a blueberry, carefully slice them in half. Once they are halved, they will be able to observe the inner workings of the fruit. What do they see? Have them write their observations on one side of a paper. Then, after more observation, your young scientists can illustrate a diagram of what they see. 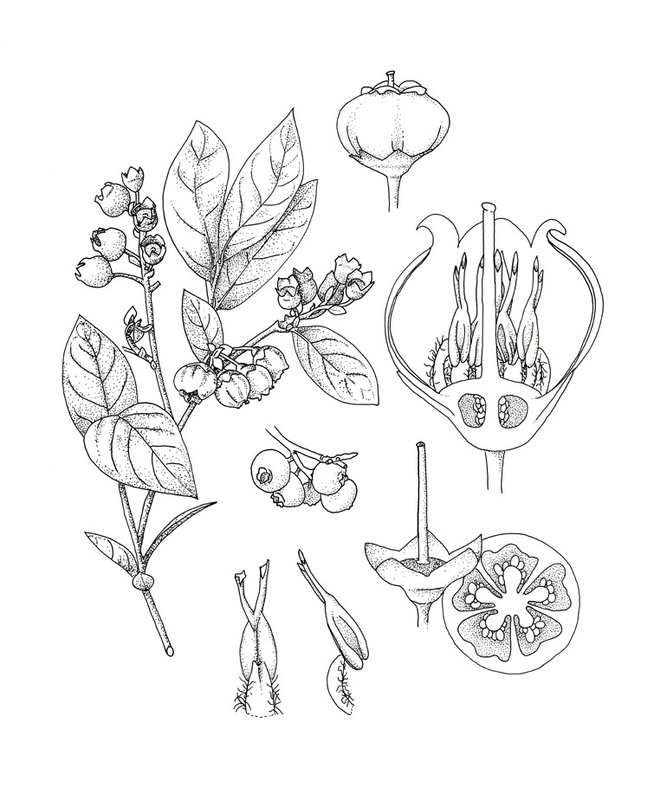 You can use this drawing as a reference: Blueberry Dissection. The purpose of each ingredient, etc. Once your treats are done baking and cooled down, it is time to enjoy! Gear Up for National Bicycle Month!